Clear H2O Window Cleaning Services Ltd - Cleaning Services based in Basingstoke, Hampshire. Clear H2o Window Cleaning Services have been established for 10 years. During which time we have fulfilled many different projects along the way such as: Domestic Window Cleaning, Schools, Colleges, Hospitals, Penthouse Apartments, Office Blocks, Luxury Retirement Apartment Block. 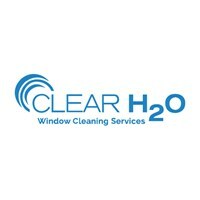 Please look at our website (www.clearh2owindowcleaning.co.uk) to get the most out of the services Clear H2o can offer. We offer a professional team of operatives that are Reliable, Safe, Trustworthy with the quality of work to back it up. YOUR CLARITY IS OUR VISION!! !